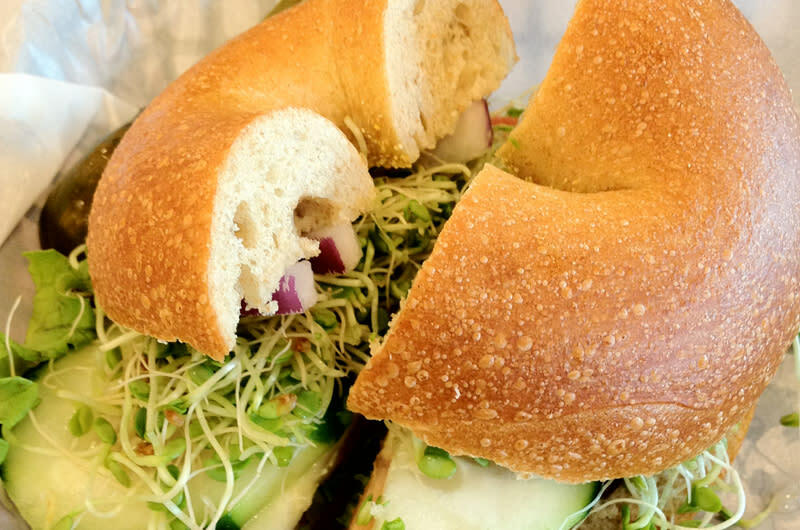 Einstein Bros Bagels offers bagels and toppings of all types from early morning to mid-afternoons. Other menu choices are fresh-baked goods, made-to-order sandwiches, crisp salads and gourmet coffee and expresso. Catering is also available.